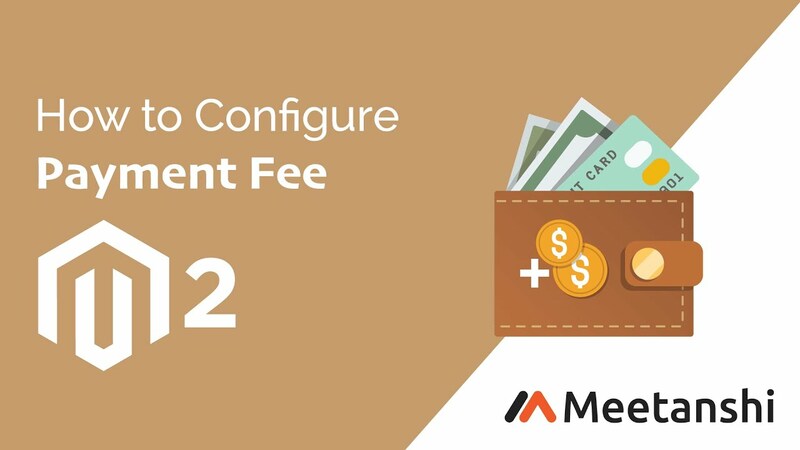 Magento 2 Payment Fee by Meetanshi helps admin to set payment fees to charge customers with the extra fee for using certain payment methods of your Magento 2 store. 1. Transparently charge the extra fees on payment methods. 2. Supports both fixed and percentage amount type. 3. Supports all the payment gateways. An E-commerce store provides various payment methods to their customers which helps in enhancing the user experience. But providing such facilities may cost the store admin some bucks! Adding these extra charges in the product price makes it too pricey and gives a wrong impression which affects the sales. Instead, specifying these charges transparently in the order subtotal is a better way to overcome the payment expenses in terms of fees, gateway charges, etc. Meetanshi brings you Magento 2 Payment fee extension to transparently charge the payment method fees to customers' orders! Magento 2 Payment Fee extension facilitates to pass on the payment fees to customers which otherwise have to be paid by admin due to offering different payment methods such as PayPal, cash on delivery, etc. in the store. With the help of the Magento 2 Payment Fee module, at the time of payment method selection, the charged payment fee is labeled along with the price. You can create as many payment fees using various conditions from backend and charge orders for selecting particular payment methods. The module is also configurable to charge the payment fees based on the customer groups. For example, admin can configure the settings to exclude the payment fee for privileged customers. After charging the payment fee, it can also be refunded if required and set from the backend. Get the most out of Magento 2 Payment Fee extension by installing it in your Magento 2 store today! Have a look at what the module has to offer! Charge payment fees to customers for using particular payment methods. For example, managing payment methods such as PayPal, bank transfer or cash on delivery in the store may demand extra fees which can be passed on transparently to the customers. Easily create unlimited payment fees. Add custom label using the variable to show fee review along with payment method while selection. For example, when setting label as "Payment Fee [Fee]", at the time of payment method selection it will show "Cash On Delivery Payment Fee $15". If customers request for order refund, admin can set the extension to enable refunds for payment fees as well. Charge payment fees on specific customer groups and store views. Admin can set fee amount to be charged either in fixed amount or in the percentage of the product price. The customer can see charged fees for their orders in their My Account section. Easily show charged payment fees along with the label in various order documents. Charge the payment fee while creating orders from the backend. Unlimited no. of payment fees based on customer groups! A useful extension for Magento 2 store!